Compare pricing for limo service in Deerfield Beach, FL. 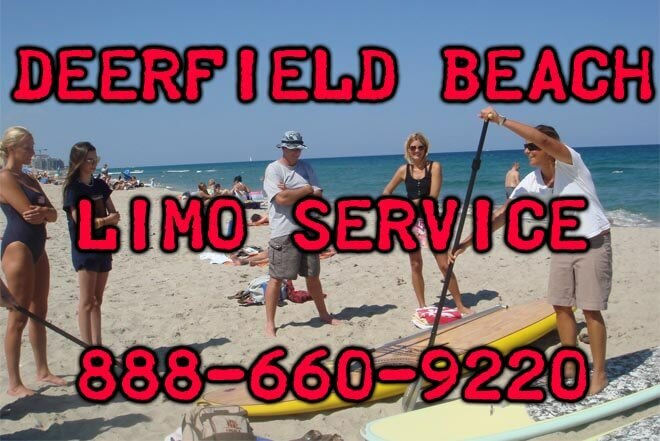 Car service, transportation and limo rentals near Deerfield Beach. Price4Limo has over 12,000 vehicles in our inventory with photos and prices for you to choose for your transportation needs. Getting a free quote takes less than 30 seconds and no email is required! 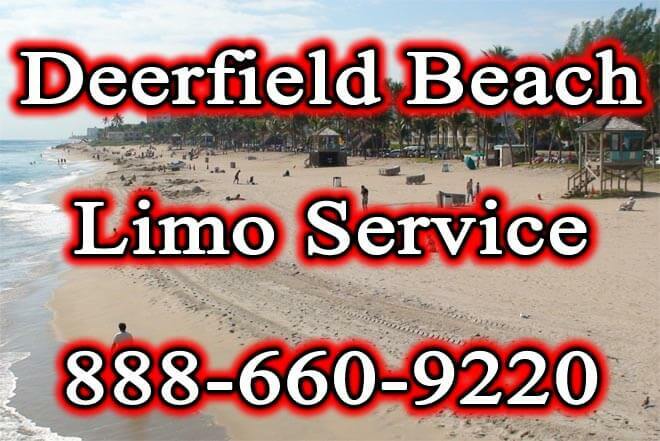 Limo Service Deerfield Beach, FL. Deerfield Beach limo service provides a variety of limousines to select from on our website Price 4 Limo. When visiting our website you can get a quote within seconds for anywhere in Deerfield Beach, FL. Not sure which limousine to reserve? Check our photo gallery section on the website where you can view pictures of all the vehicles providing you help in selecting a limousine. Our limo service in Deerfield Beach is there to provide pick up and drop off anywhere throughout Deerfield Beach, FL and the surrounding cities. Celebrate any occasion with your friends or family such as a birthday, wedding, bachelorette party, corporate event, quinceanera, prom, homecoming, and night on the town. Ride in a stylish limo as our professional chauffeur driver takes you to some of the most popular spots around Broward County, FL. Our Deerfield Beach limo service will have you riding comfortable in our leather interior seating and enjoying the surround sound system. Bring an MP3/IPOD player with you and connect it to the connectivity cable inside one of our vehicles. Enjoy the ride as you listen to your own playlist that everyone can enjoy. Preview Deerfield Beach Limo and Party Bus Fleet. Limo service in Deerfield Beach provides you with a variety of limousines to select from. The library of limos that are available through our website will help you decide which is the right vehicle for your celebration. Reserve a Deerfield Beach limousine and arrive in our luxurious limos no matter where you're going to be celebrating. From a wedding, quinceanera, sweet sixteen, anniversary, bachelorette party, bachelor party, night on the town, bar crawling, or divorce party we have you covered. When you make a reservation with Deerfield Beach limo service you can choose from a one way trip, three hour, or twelve hour rental just to enjoy the ride. Deerfield Beach limousine service has a fleet of vehicles for hire that will fit your event and have everyone enjoy the evening. The Deerfield Beach Zebra Hummer Limo is great for bachelor party, wedding, night on the town, prom, homecoming, or bar crawling just to name a few. 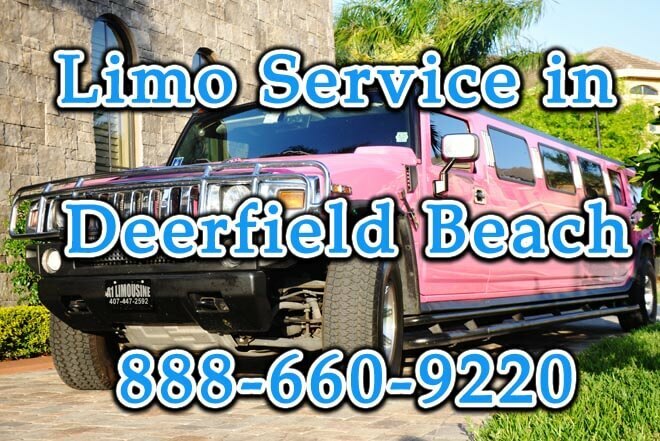 Take a ride in one of the ladies favorite Deerfield Beach Pink Hummer Limousine and celebrate a bachelorette party, divorce party, wedding, birthday, sweet sixteen, and for those about to turn 15 a quinceanera. When you reserve any of our luxury Hummer vehicles you can have between 14 to 22 passengers riding inside and with the matching interior colors. 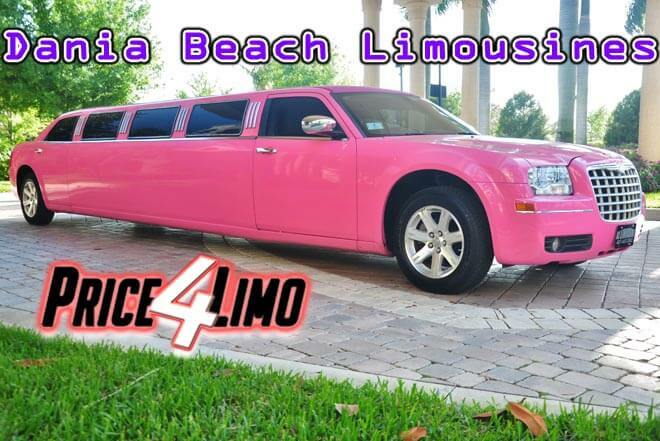 Another popular limousine with the ladies is the Pink Chrysler 300 limo in Deerfield Beach, FL. Sit back and watch the large screen in the vehicle as you ride with a group of 10-12 passengers. Whether you are looking to celebrate a bachelor party, night on the town, bachelorette party, or bar crawling all of our limos will have everyone enjoying the ride. One of our attention grabbing vehicles is the Deerfield Beach Black Excursion Limousine which sits around 20 passengers with a spacious leather interior seating and a large 42" plasma television with additional monitors located throughout the vehicle so you and your guests can watch the screen from anywhere throughout the limousine. Enjoy the night on the town and make your way to some of the most popular clubs around Deerfield Beach, FL such as Blue Martini, Club Boca, or Kahuna 'Awa Kava Bar just to name a few. As you pull up everyone will be checking out the exotic limo and won't help but look and even take a few pictures. Make a splash in a Deerfield Beach Escalade Limousine that sits up to 12 passengers, with a lighted bar area where you can start the party even before you head out to have some fun. Our Deerfield Beach Navigator Limo can sit up to 16 passengers and can provide you transportation throughout Broward County, FL. Arrive in our Deerfield Beach Rolls Royce Limo that sits up to 10 passengers and everyone will be wanting to know who is inside the vehicle. All of our Deerfield Beach limo services will make it a memorable night out and you will definitely want to take some pictures before you step inside the Deerfield Beach Lincoln Stretch and Cadillac limousine which sits up to 10 passengers. If you are looking to celebrate a special occasion, need a ride to the airport, transportation to a hotel, or corporate event off the Atlantic Ocean Deerfield Beach limo service provides you with a limousine solution whether it is for business or personal use. Deerfield Beach limos provides you with an airport transfer service to Ft Lauderdale-Hollywood International Airport and Boca Raton Airport. No matter where in Deerfield Beach you may be residing our Deerfield Beach airport limo service will drive you up and down Interstate 95. If your flight is landing or planning on going on a cruise in Port Everglades our limousine service can provide you with your transportation needs. Get a Ft Lauderdale Airport transfer to Port Everglades to make sure you arrive on time and can enjoy your cruise. Deerfield Beach limousine service also picks you up upon arrival from a long flight and takes you straight home, hotel near Ft Lauderdale Airport, or Port Everglades. Deerfield Beach Limo Service provides you with a variety of limousines to select from on Price for Limo where you can get a quote within seconds. Select from our fleet of limos to help you find the right vehicle in photo gallery section. When selecting the day and time on our website you will get a range of vehicles and their pricing. Celebrate any occasion such as a birthday, wedding, corporate event, divorce party, night on the town, or bachelor party. Deerfield Beach limo rental will have you riding in style as our limos will get you to your location.